The wave of migrants who have arrived in Italy on boats has brought with it part of the country's future. Three refugees who fled war have managed to build futures as an attorney, a mechanical engineer, and a young graduate in economics. 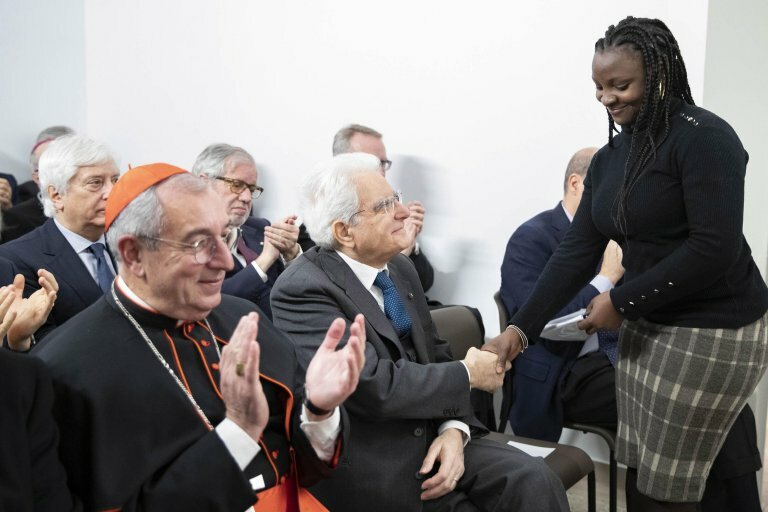 They were present at the inauguration of a new asylum seeker reception centre in Rome, where Italian President Sergio Mattarella listened to their stories. Sohrab, a 25-year-old from Afghanistan, became emotional when he addressed Mattarella. "The project that I'm bringing forward thanks to many people makes me believe that I can be useful," he told Mattarella at the inauguration of the Matteo Ricci center for reception and integration of asylum seekers and refugees. Sohrab left his mother in Afghanistan when he was 14, crossing many countries by himself, with smugglers and with other children he met along the way. He arrived in Europe on a rubber dinghy full of people who had departed from Turkey and arrived in Greece, where he was jailed for the first time. He had dreamt of Europe and tried to escape many times, inside or under a lorry, or above the driver's compartment. "I was always stopped and sent back," he said. "And after many failed attempts I decided to try to leave Greece by land: Macedonia, Serbia, Hungary, and many different prisons," he said. And then from Hungary to Austria, Germany, and finally Italy, always by foot. "I learned to orient myself with the sun and a paper map because then it wasn't easy to have a GPS. During my journey I learned to speak in English," he said, smiling. "In Italy, I applied for political asylum. They hosted me in a center for refugees and in six months I learned Italian," he said. After three years of university study, he is now a graduate of La Sapienza University and has been a mechanical engineer for just over one month. The stories of Charity and Soumaila are similar. Charity, a 25-year-old from Cameroon, has been a refugee in Italy for two years. She had graduated in economics in her home country and left her family to start a new life. She has worked to get her degree recognized in Italy. "It's the only way I have to thank my parents for having taught me that education and culture can change the world," she said. Soumaila, a 31-year-old from Mali, began her work in Italy in the fields. She arrived in Italy after going from her home country to Algeria and then on to Sicily, where she arrived four years ago on a migrant boat from Libya. Now, when she says she will soon be an attorney, her friends take her seriously.